Tall, wiry frame, room to fill, swings from the left side with pull side line drive swing. Bat path flat through the zone. short stroke that stays thru the middle of field. Line drive type hitter with some leverage. Defensively quick twitched and covers ground. Matrone has athletic proportions at 5-foot-11 and 160 pounds. His left-handed stroke was loose and clean, and he showed range in CF. 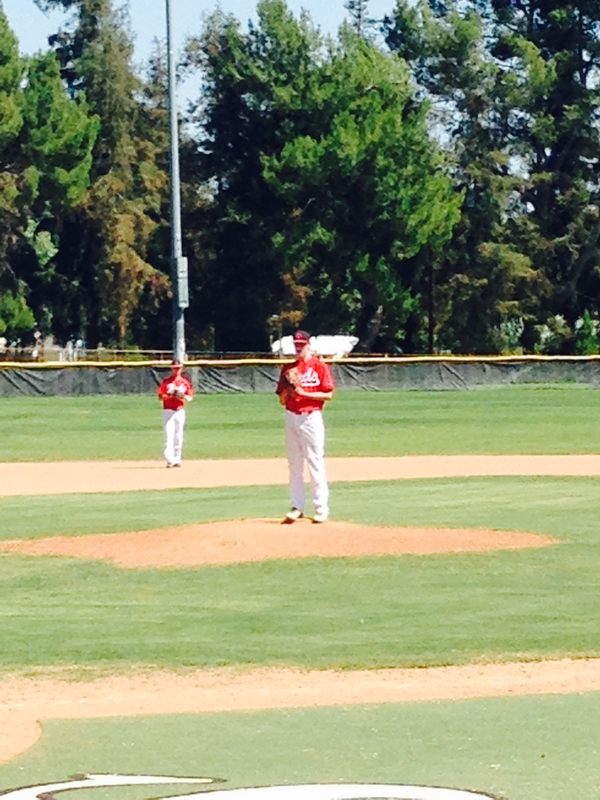 7 Nicholas Hoefling LHP/OF 5'11"/190 R/L 2016 Valley Christian High School Morgan Hill CA Seattle Univ. Small wiry frame. Short compact swing. uses speed to advantage. 4.46 to 1b. Showed good plate discipline and good middle approach. On the day 3 for 3 all singles. Good bat speed. Smooth easy rhythm. Room too fill. Good bat speed Bat speed will progress. 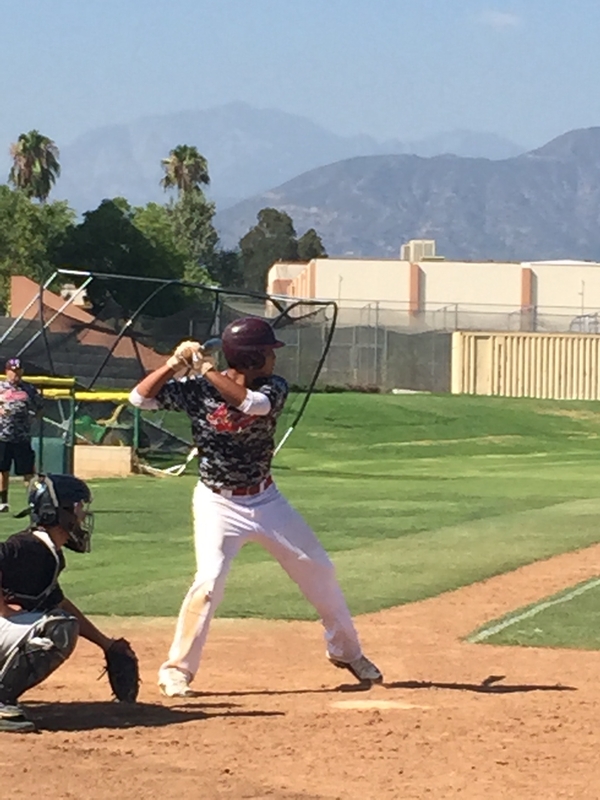 Mid oppo approach. Plate coverage with plus extension. Very strong arm. 2.0 pop. Presents a good low target. Sure hands. Quick to knees. Keeps balls in dirt close and in front. Sways. Athletic at the plate. Solid base. Hits to all fields. Stays inside. 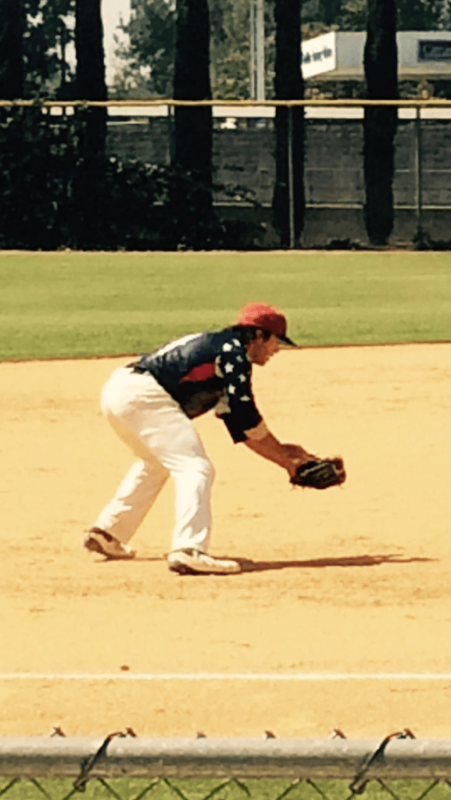 Lawson showed quick feet with the ability to make ranging plays on both sides of the bag. His actions were athletic, and he remained in control of his body on the move very well. Tall, lanky frame. High 3/4 release with good arm side sink. Arm is very loose and whippy. Stays linear to target, hides ball well and works ahead early. FB was 81-84 with good arm side sink. Slider 73-76 with 11/4 downward tilt. Change was 72-75 with good deception Mechanics very simple, pitched to contact. 5 ip – 1 hit allowed. 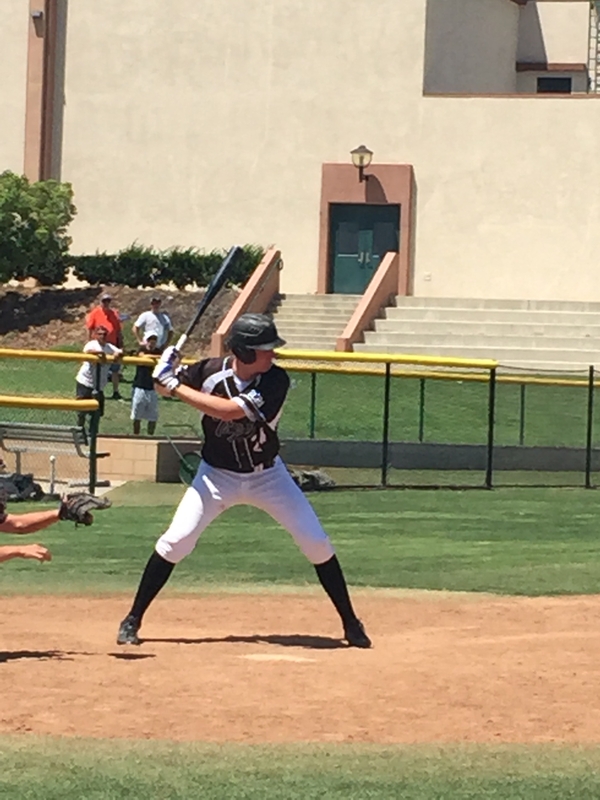 Aggressive hitter with gap to gap pop. Compact swing with some good leverage from the lower 1/2. Defensively quiet on feet, soft hands and good angles. 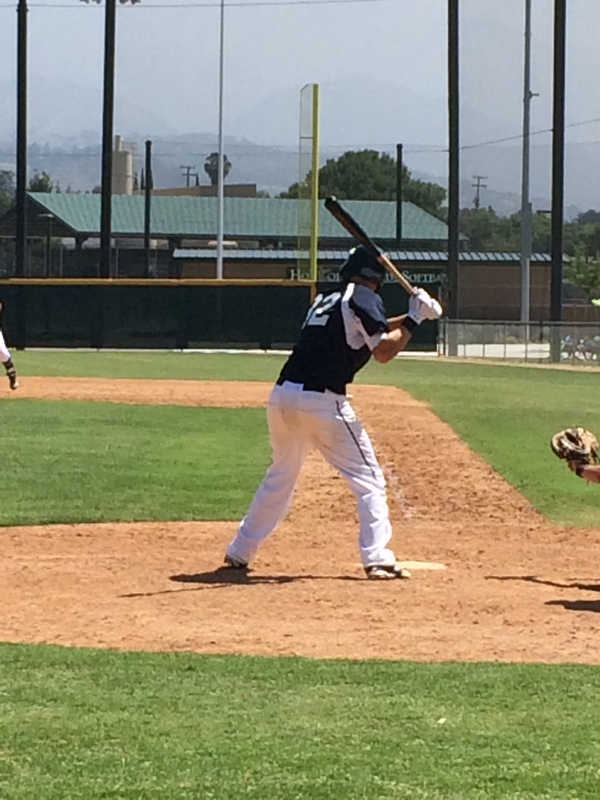 Physical frame with strong lower, at the plate is aggressive with good extension to both gaps. Very good barrel accuracy and good balance through swing. Physical frame. 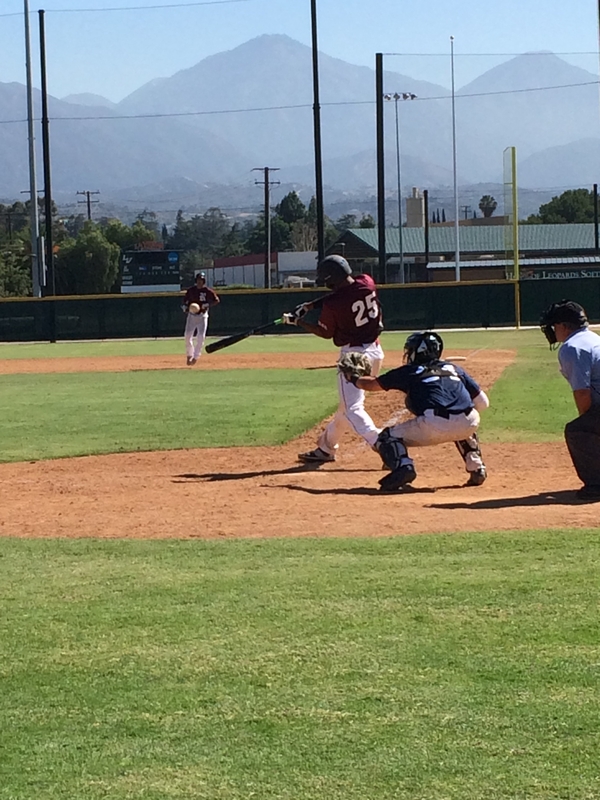 Behind the plate is very athletic and capable of blocking and extending to both sides. Strong arm with late life, sat between 1.97-2.07 with good accuracy. Glove is sure handed as he works to get around ball. Tall, athletic frame. Nice job of pounding the zone and forcing contact. Fb sat 80-82 with command to both sides. Cb was 73-75 with 2/7 action. Repeated his long loose delivery and wasn’t afraid to pitch inside. 6ip, 5 hits, 4k. 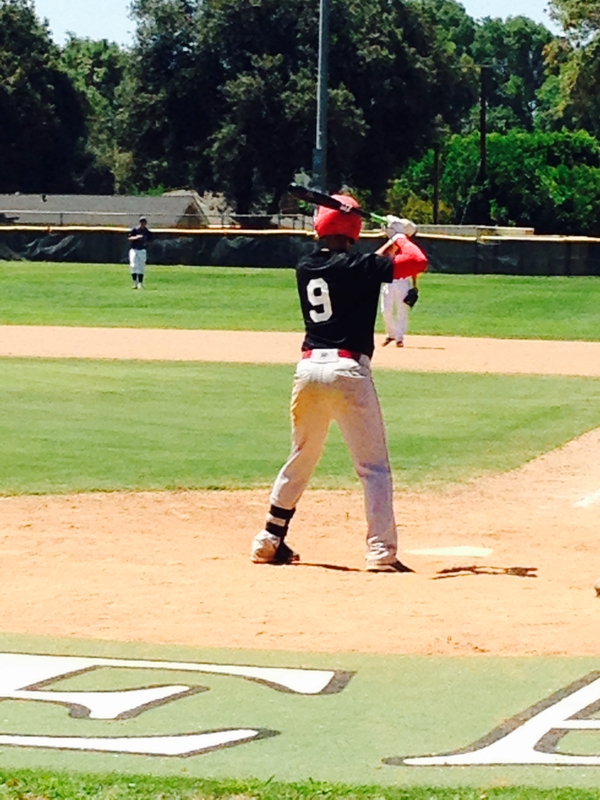 At the plate has long levers with good extension. Showed consistent barrel path and ran very well 4.38 to 1b. FB: 86-88,89mph, life out of hand with late arm side run. Max effort guy. Works down with good lower half push and arm speed. Slider at 76-77 with late sharp tilt on an 11/5 plane with same arm speed. Projectable as a bullpen arm. Plus power. Hits behind the baseball. Attacks mistakes up in the zone. Hand get into a powerful launch position. Extension through contact. 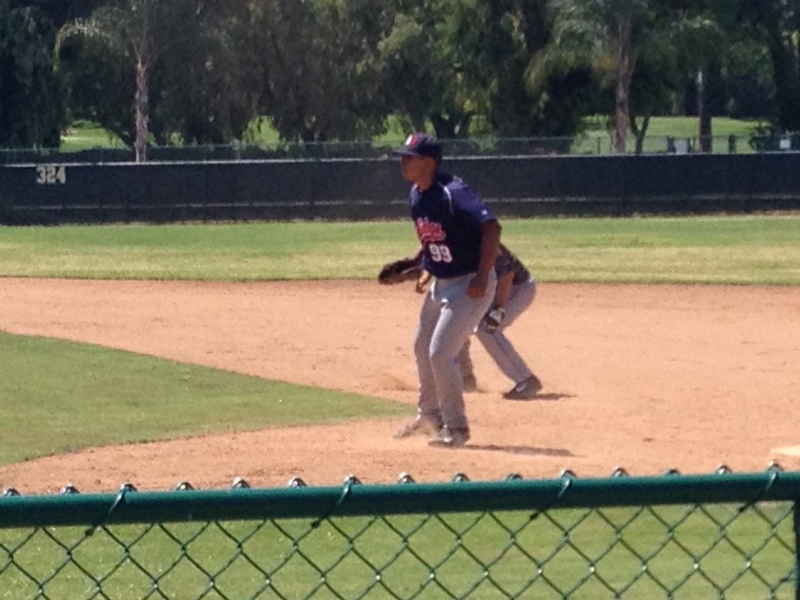 Athletic at first base. Good frame. + footwork around the bag. small wiry frame, athletic behind the plate. Soft hands with good pocket awareness. Centers ball when blocking and is very agile laterally. Throwing sat 2.03-2.15 in between innings with a short quick release and good accuracy. Quevas showed his two-way ability right out of the gate on day one. 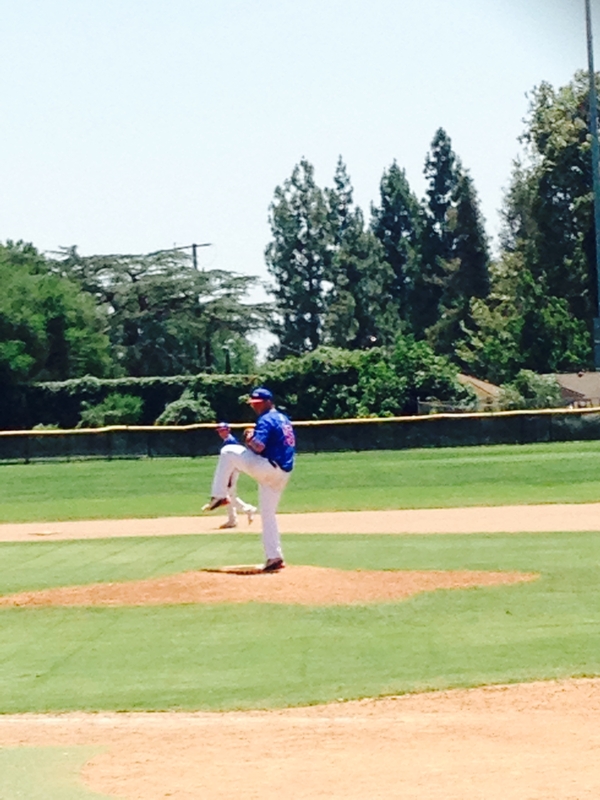 He pitched six strong innings, working primarily 80-81 and topping at 83. He spun a breaking ball around 70 that flashed definition to 11-5 shape, and backed off on some changeups around 70 as well — some of which he turned over nicely. In three trips to the plate, he collected a pair of doubles and a loud fly ball out to left field. His swing is loose and easy with speed and life thru the zone. 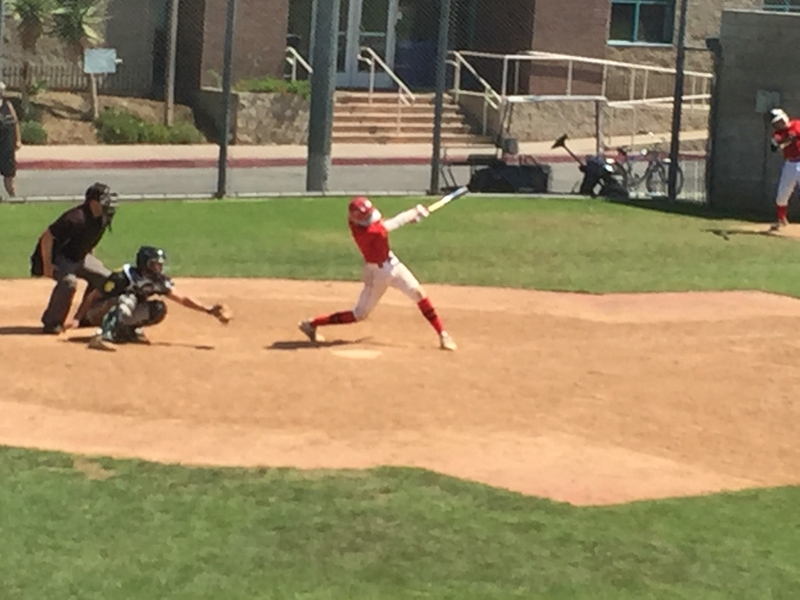 Small wiry frame, loose hands at the dish. With good plate discipline, line drive type swing with some pull gap pop. Stays simple and doesn’t try to do to much. 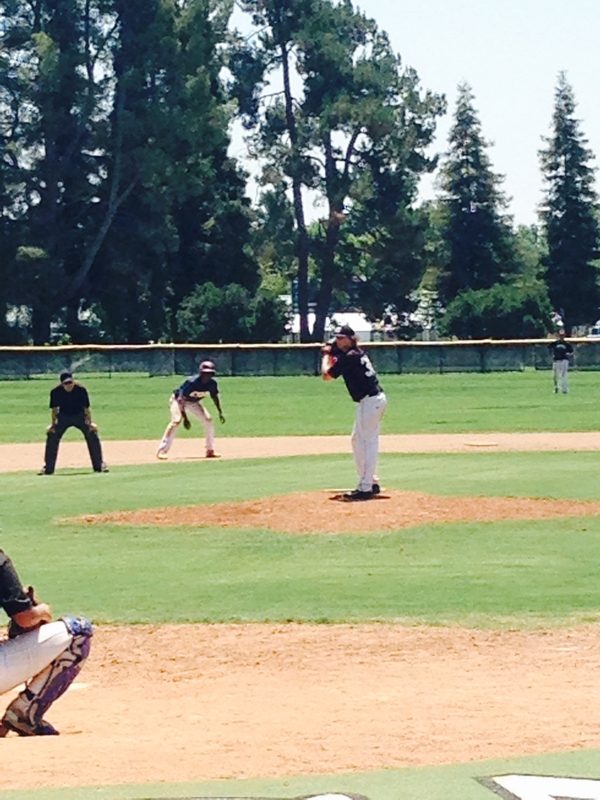 FB: 78-80, 82mph, ok arm side run. Works downhill and pitched to contact. Ok arm action. Worked to control inner half of plate. In-line controlled delivery. CG shut out. Good approach at the plate. Stays inside the baseball. Strong fast hands. Works through contact. Displays gap-to-gap power. 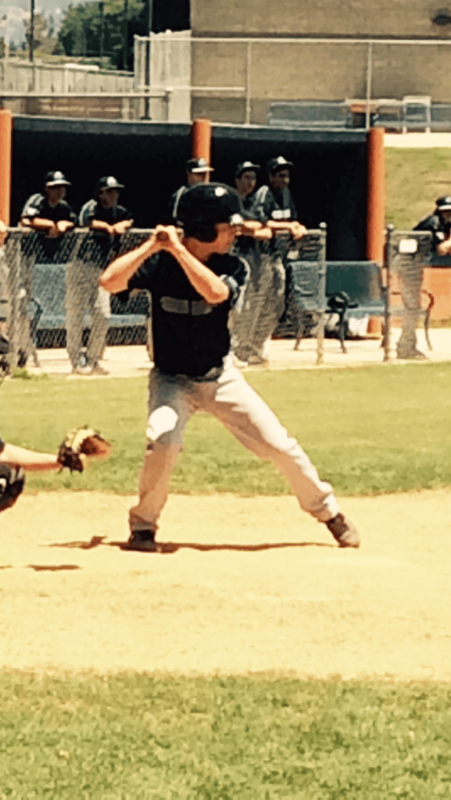 Small athletic frame, but very aggressive hitter. Flashed some pull pop with two hard contacts to the pull side. Good in stance rhythm and good instincts on bases. Good two strike approach, ability to work deep counts. Stays simple and uses middle to oppo approach. 3 for 3 at the dish all three hits being singles. 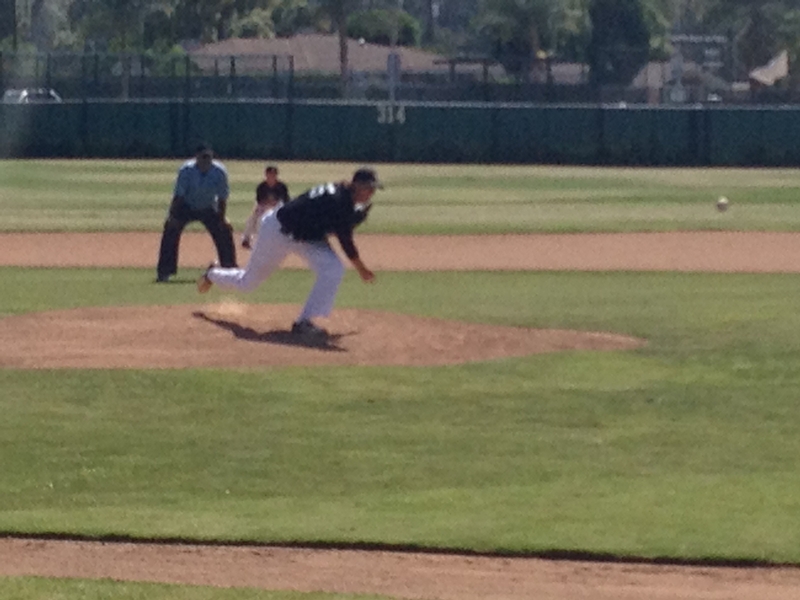 FB:80-84 CB:69-71, athletic on the mound. Fluid arm stroke. Drives off the mound. Command in the strike zone. Showed ability to work out of trouble. Good upside. Loose in stance rhythm with on time separation. Gap to gap line drive, flat path with good top hand extension. Stays inside baseball very well. Tall, strong physical frame, FB: 82-85mph with slight sink, CB 65-68 with medium 11-5 break. Ch 72-74 with FB arm speed and good deception. High 3/4 delivery with loose arm action. Ability to repeat and throw all 3 pitches for strikes. No hitter thrown. Extremely athletic, FB:77-80 CB:65-67, smooth delivery, great tempo, fluid arm stroke. Pounds the zone with all pitches. Huge upside, Also a threat at the plate. Athletic movements. Great hands that work inside the baseball. Very physical. Strong frame. Sure hands. Fields the ball out in front. Athletic moves at the plate. Stay inside the baseball. Utilizes lower half. + power. Strong two strike approach. + base runner. Good reads on balls in the dirt. 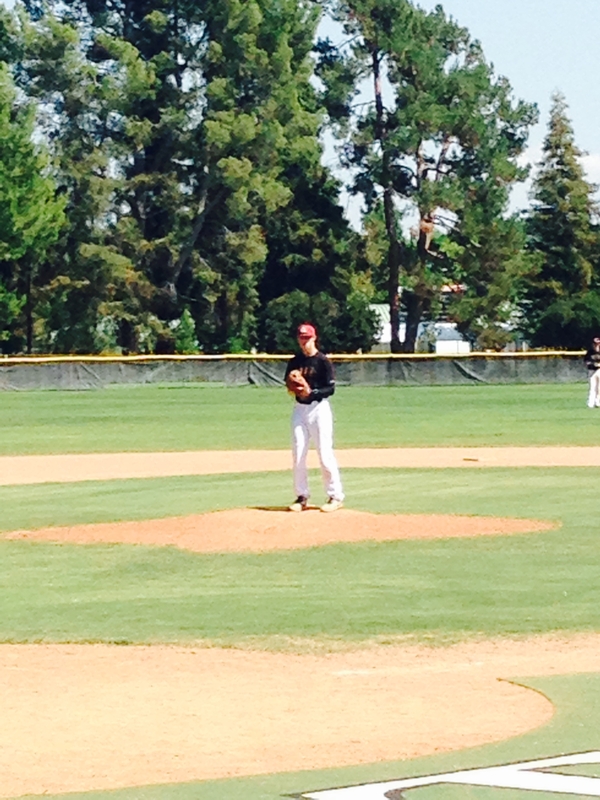 On the mound, very good composure with good feel for pitching. Smooth compact delivery with good extension through target. Young arm with a lot of upside. Fb sat 77-80 with little run. Good angles in the outfield with good closing speed to ball. Short compact stroke, stays through the middle of the field. Is a spray type hitter with good discipline. 3 singles in 3 plate appearances. Athletic frame, short quick swing that stays thru middle of field. Quiet head and quiet hands to go along with good balance throughout. Athletic frame with room to fill. Short flat swing with some pull gap pop. Bat speed will develop with strength but has good barrel awareness. Went 2 for 2 both singles. 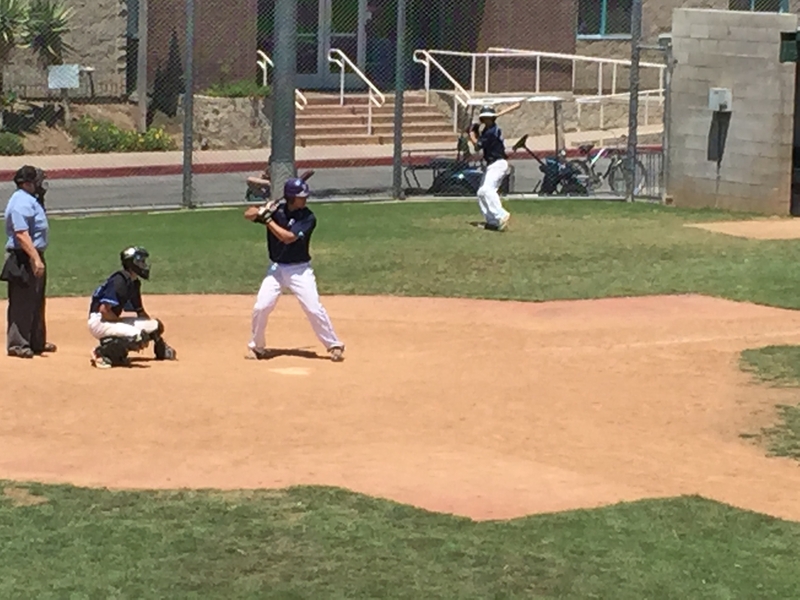 Simonian showed a combination of offensive and defensive skills on day one. At the plate, he stood in well and made several nice passes with nothing to show for it. 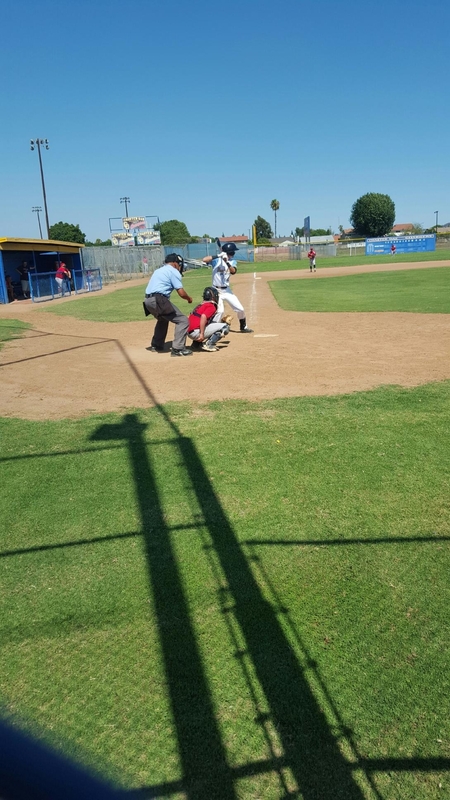 He lined out to center field and flew out to left, each time squaring it up for a hard out. Behind the plate, he sat well and showing solid receiving and blocking skills. FB: 84-86,88mph, easy outta hand with arm side run. Relaxed and comfortable rhythm and tempo. Mainly works arm side down in the zone where he lets his ball work. Swing and miss type fastball. Quick feet with quick direct exchange and release. Accurate. Sure firm receiving, beats ball to spot. Centers balls in dirt and is soft. Quiet, simple, very good approach approach. Plus rhythm and works gap to gap. All fields as he is short to and stays inside ball. Short to with good extension that is on plane. Tall strong body. Good extension with good quiet rhythm. Quick to with good bat speed. Plus plate coverage. Consistent/ compact swing. Pest w two strikes. Solid approach. Tall, thin frame with room to fill. At the plate loose hands with on time separation with some leverage to the pull side. Tall, strong build. At the plate is very aggressive with good separation. Good leverage with lower half that provides good pop to middle and pull side of field. Short, quick arm with good whip thru target. Fb sat 84-86 with good command. 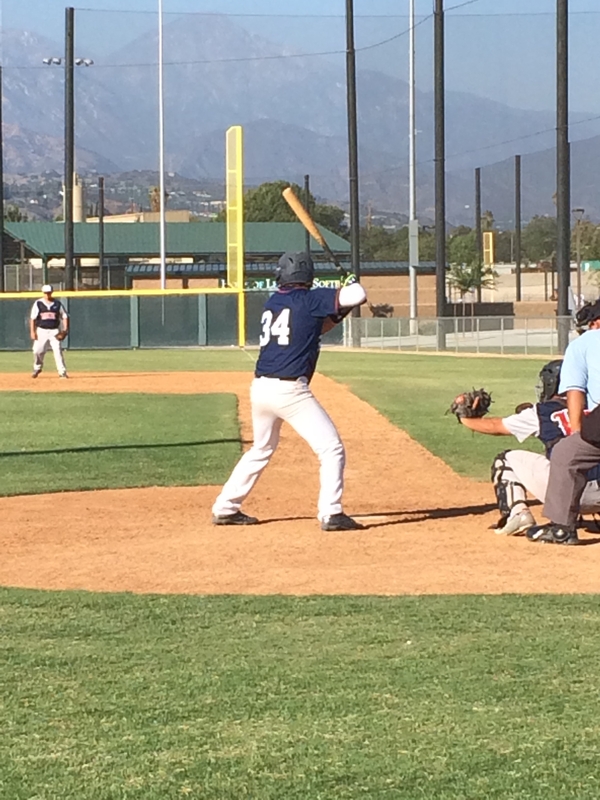 Cb 74-77 with sharp 10-4 action works good as strike out pitch.young arm with lots of upside. Smooth left-handed swing. Extends through contact. Strong fast hands allow him to stay inside the baseball. Strong athletic frame. Quick bat speed with good extension. Quiet per pitch movement and very balanced throughout his swing. Deep pull power. Moves well around the bag, with above average arm strength. Small wiry frame, light on feet, moves well around bases. 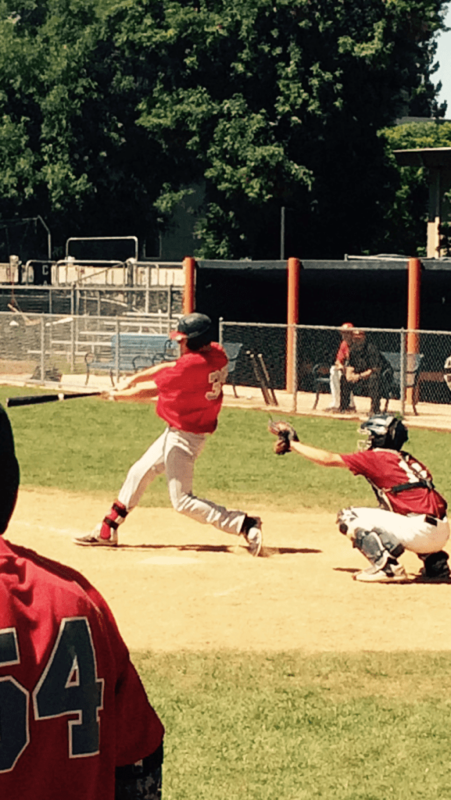 At the plate short on plane stroke, uses speed to advantage, spray type hitter from left side. Tall lanky frame with room to fill. Good rhythm and separation, good levers with gap to gap pop. Good balance in legs and hits against firm front side. Aggressive hitter, good top hand direction. Flashed gap power and good strike zone awareness. Had a 2b and a 3b. On bases good turns with good strides. Short simple stroke with good balance. Spray hitter with middle approach. Hands work well inside ball and stay thru zone. Tall, long limbs and room to fill. Smooth and effortless delivery that he repeated every pitch. Worked very fast and kept defensive on toes and hitters off balance. Fb 78-80 with arm side tail. Cb had good depth with 2-8 action. 4 IP/ 3 hits / 0 runs allowed. Strong physical frame , 3/4 DELIVERY. Fb was 82-84 with natural arm side run and sink. Repeats delivery, works down in zone and mixes an effective 10-4 slider that sat 71-74. Athletic frame, smooth on field with soft hands , works through ball, ability to change arm angles, with above average range. 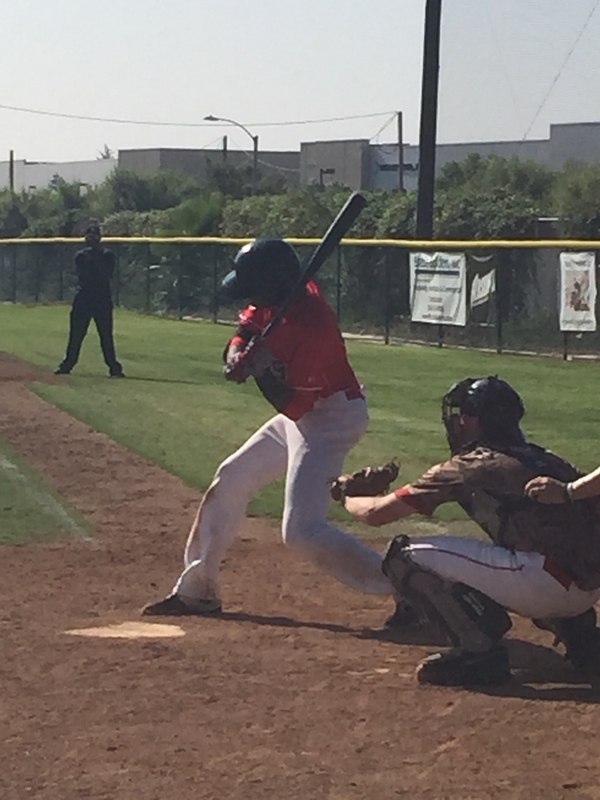 At the plate flat swing with line drive type swing with good top hand extension. Athletic physical frame, defensively covers ground with good routes and strong arm with late carry. 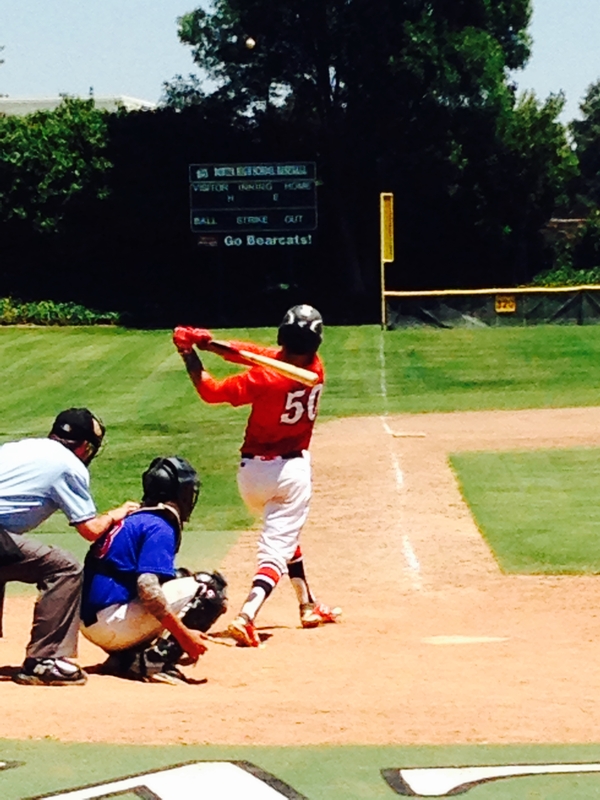 At the plate very relaxed with ability to deliver barrel with gap to gap pop. Good baseball instincts on base path. Quiet hands with on time separation, stays inside of baseball with ability to drive ball into both gaps. Strong, athletic build. Good rhythm and set up. Strong at contact. Shows good pull side pop. Middle pull side primarily. Creates backspin with very good bat speed. Utilizes good lower half. Natural lift. Light on feet with good first step and works through hops. Clean exchanges and sure hands. Above average carry across. Projectable. 7/28: Quality arm. Good carry through bag. Plus feet with a direct transfer. Athletic in and out o stance. On field leader. Firm sure receiving, beats ball to spot. Strong wrist. Good feel behind the dish. Controlled block. Beats to spot, soft, controlled, quick to ground. 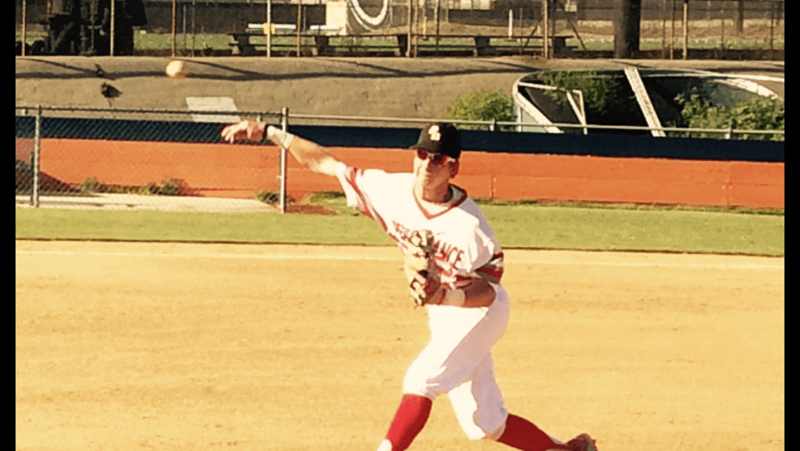 FB: 74-77, 78mph with a high 3/4 arm slot. Good initial delivery and repeats it. Raw finish, missing arm side at times. 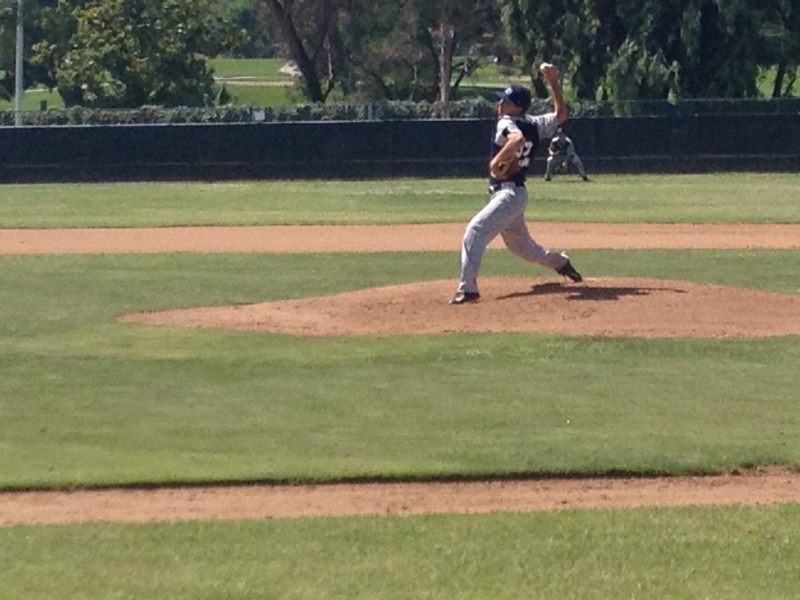 Good tempo, athletic off the mound. 58 mph straight change. Still working on throwing with arm speed. 57-59 12-6 CB staying arm side. Mid oppo app. Short to contact. Stays inside with a direct path. Quiet at plate with above average oppo power. Showed leadership qualities on field. In game triple. 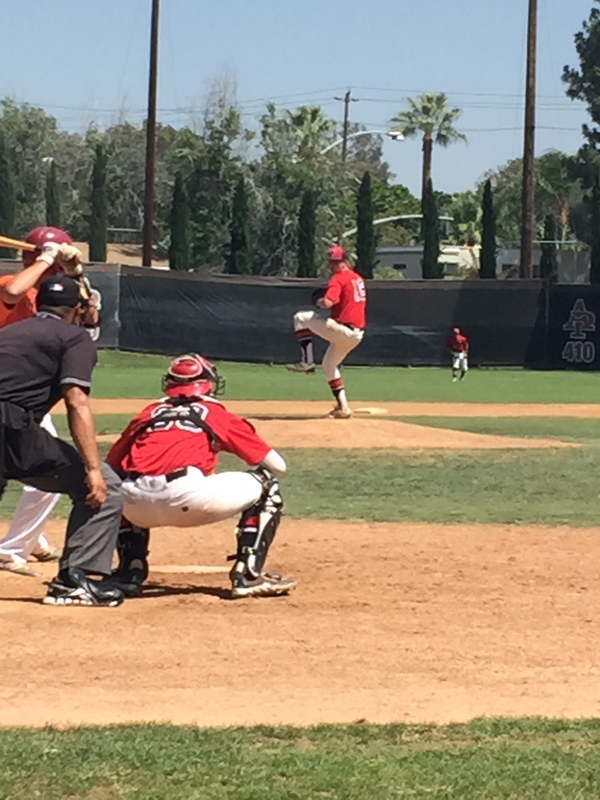 12 Brendan Beck IF 6'4"/195 R/R 2017 Corona Corona CA Stanford Univ. Quick twitched, sound fundamentals. Works through ball very well. Picks out hops and is confident with the glove. Backhand technique is low to high and has plus carry across diamond. 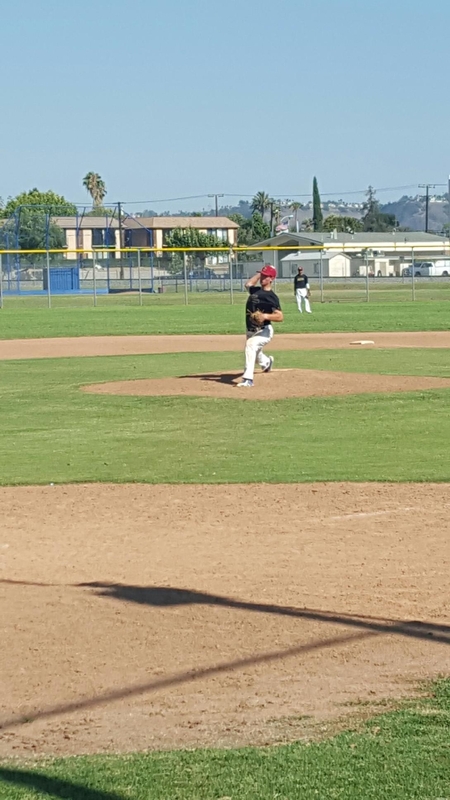 Left handed pitcher with good feel for zone. FB sat 78-80 and touched 82 once. CB had 2-7 action with late sharp break. Cb was his strikeout pitch. Delivery was very clean and pitched to contact. Wiry frame with soft hands, good angles at SS. Quick first step with good range. Quick release to go along with an accurate arm. 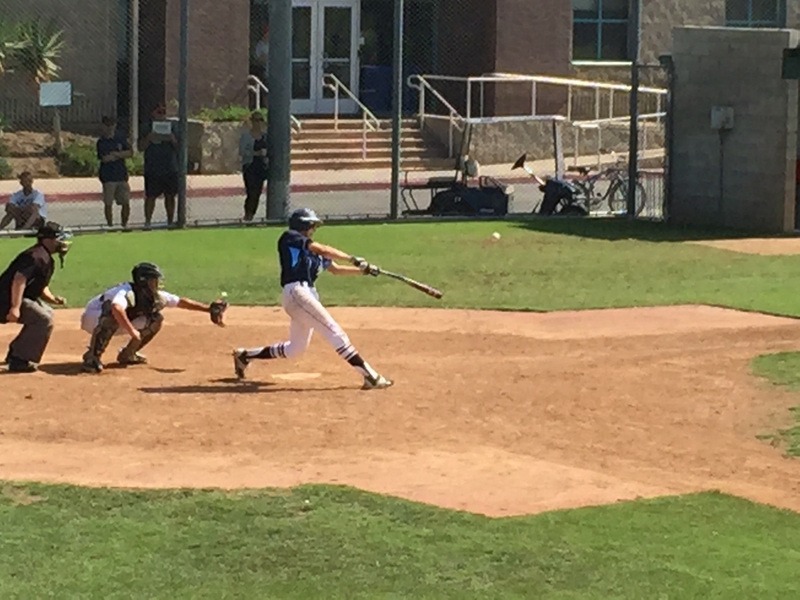 Small wiry frame, spray contact hitter with quick feet. Spark plug type player with good feel for the game. Clean actions at SS. Active quick feet. Picks out hops and picks through with good glove extension. Quick exchange/ release. Pull side pop w good extension. Stays in base. Simple set e simple rhythm. 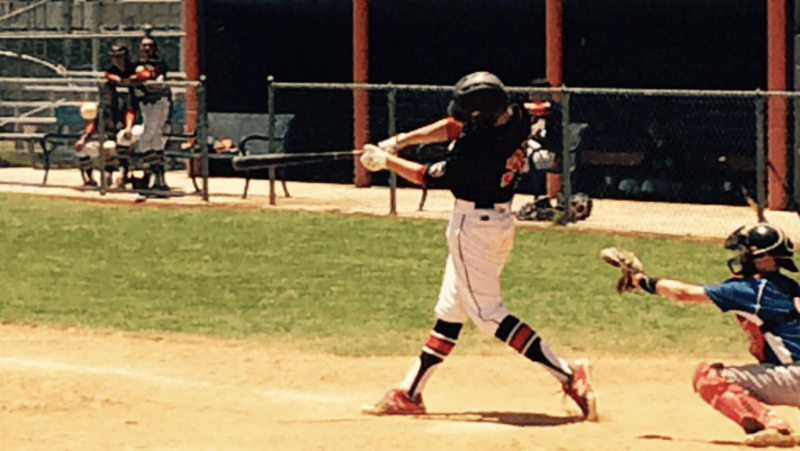 Compact swing w good lower half. Tall athletic build. On plane and direct at plate w mid approach. Gap to gap and strong at contact. 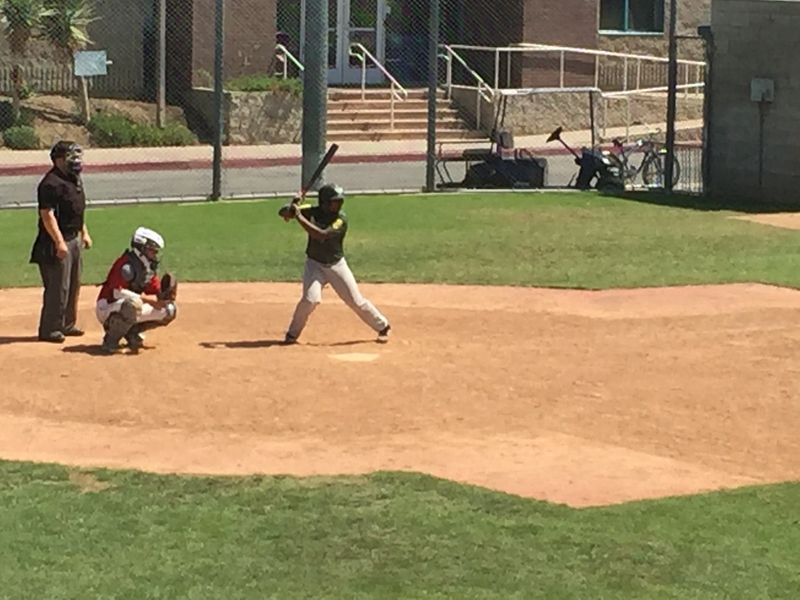 Active and athletic behind plate. Moves well with good flexibility. Solid receiving with sure/ firm glove. Field awareness. Controls game. Centers balls on dirt and beats to spot. On the mound was effectively wild. Arm is very whippy and hides ball well. FB: 82-85,86mph, had late arm side run with slight sink. Cb 74-76 with sharp 11-4 action. Lopez featured athletic actions to hit, along with a clean move through the zone. 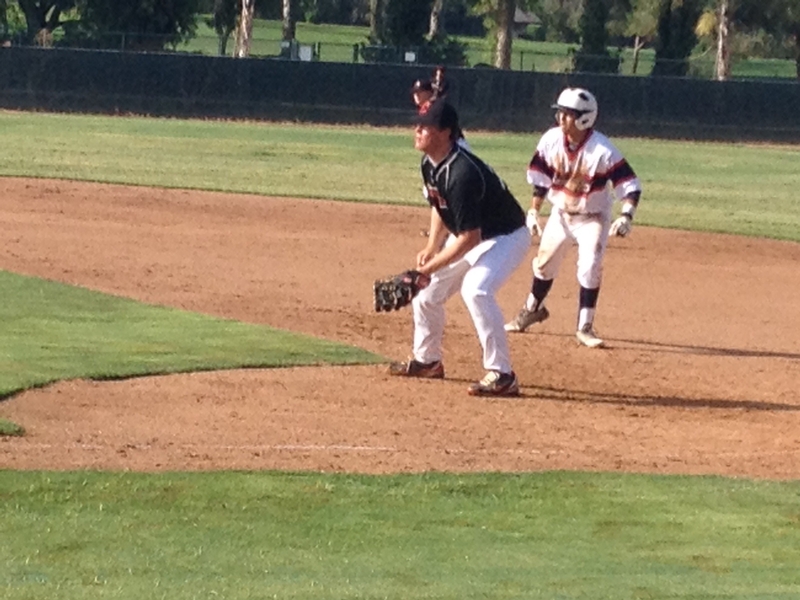 In game one, he collected a double and a triple, with the triple coming going thru the opposite field gap. Vigil threw a high volume of FB strikes at 79-80 with tailing arm side life, and topped at 81. 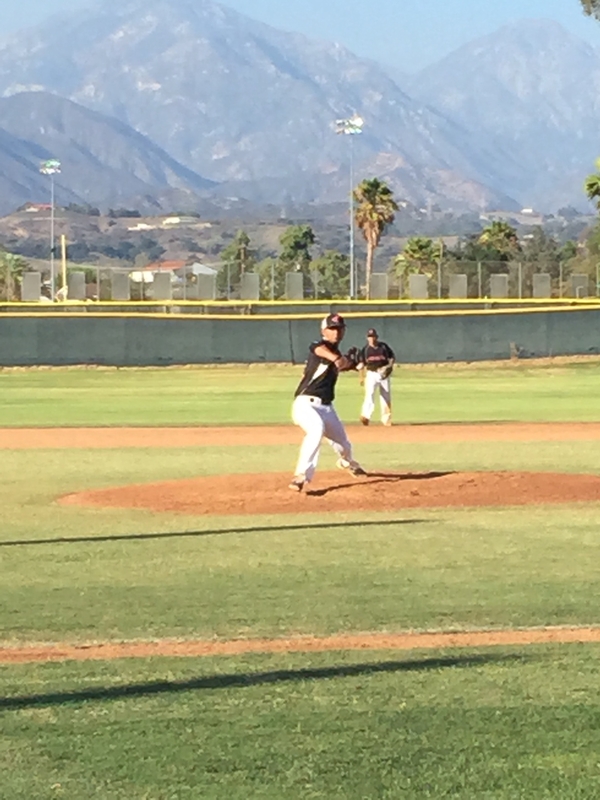 After a rough first inning, he settled in and went the rest of the way to record a complete game victory. He spun a low 70s breaking ball when needed, and did a great job of fielding his position. His arm worked easy, and he was able to repeat his delivery. He stood in well as a left-handed hitter also, collecting a couple of hits — including an opposite field single in which he kept his hands back nicely on a breaking ball. 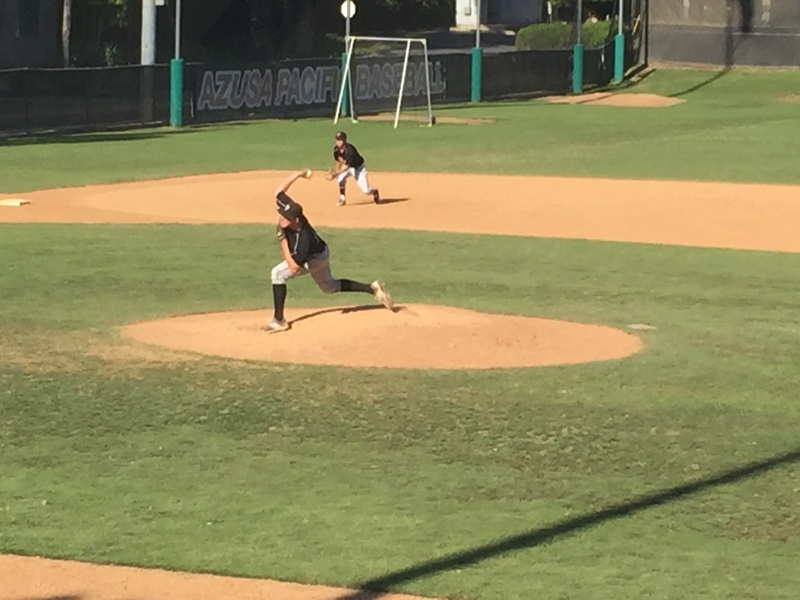 FB: 82-85mph with arm side run on pitch. Easy outta hand with downhill plane. Swing and miss type pitcher. Mixes pitches in all counts. 64-68 breaker 11/5 ok break with good depth. Works better when utilizes two pitches. Chavez showed athletic defensive actions with sure hands and the ability to make plays off balance and on the move. He singled twice in three trips to the plate, first back up the middle and later to the opposite field. Athletic wiry frame, defensive quick first step, gets around and works through baseball, soft hands with good glove extension. Arm is accurate with late life from deep SS. Offensive is a spray contact type with good zone awareness. Flat path with good barrel accuracy. Offensively is very simple, stays inside baseball, quiet body with gap to gap power. On bases very good angles with good instincts. Tall with long limbs. Very smooth tempo, gathers well over rubber, stays direct towards target and very compact delivery. Separation is on time and pitches to contact. Fb 79-81 with slight run. Cb 70-72 with gradual break. A day after posting the second fastest 60 yard dash during pre-tournament testing, Babuta showed athletic actions in the infield along with quick hands to hit. 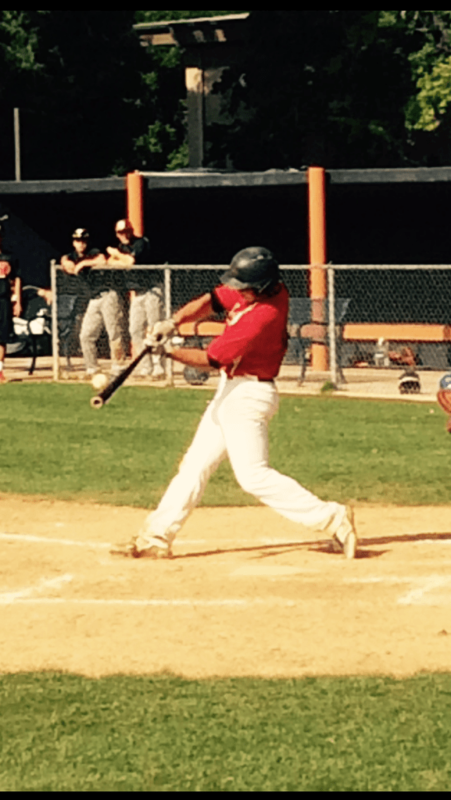 Cook is a large framed left-handed hitter with a good move through the zone. He showed evidence of raw power with an opposite field drive through the left-center field gamp with a wood bat. Athletic at the plate. Gets into a strong launch position. Extends through the baseball. Displays + gap power. Great approach at the plate. Displays easy power (HR to RF). Strong hands extend through contact. Mack has a solid build on a large frame at 6-foot-2 and 190 pounds. Hitting out of the leadoff spot, he connected for hard contact three times against an intentional walk late. He lined an 84 mph FB out in the first inning, then short hopped the left field wall for a triple before lining a single off the 3B glove. In a short look, he has a simple move with speed thru the zone and a knack for finding the barrel. Davaluri threw a high volume of FB strikes between 83 and 85. He came in after a rough start for his team, and settled in to keep his team in the game. He worked from a simple delivery to feature natural arm strength and primarily worked off his FB. He started the game at SS and hit from the 3rd spot in the order. Walker has extra length to his frame, such that he looked taller than the 6-foot-3 he was given on the roster. He got depth from the glove, but not as much out front — giving him room to take better advantage of his length and to potentially grab some more FB in the future. He topped at 83 and worked around 81, and showed an upper 60s breaking ball. Despite what didn’t appear to be his best day, he is still an interesting RHP with some upside. Small, wiry frame with quick footwork. Defensive has plus range to both backhand and forehand side . Is quick to the baseball, and has a short quick release. Hands are soft and smooth with good glove extension. Plays with confidence. 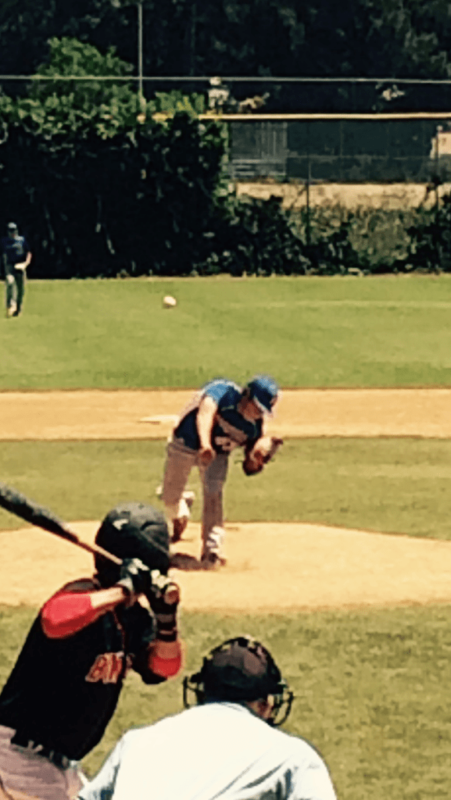 85 Nicholas Hoefling Aptos Thunder LHP/OF 5'11"/190 R/L 2016 Valley Christian HS Morgan Hill-CA Seattle Univ. ** PLEASE NOTE: Only results from the official July 23 testing day appear in the tables below.